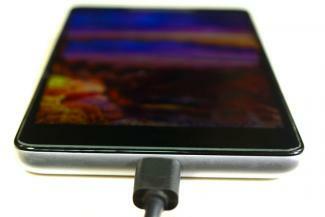 Almost nothing can put a phone out of commission faster than charging issues. It doesn't matter how many features are packed into a phone if it has problems charging or holding a charge. If you do not feel comfortable performing the troubleshooting steps listed here, contact the phone's manufacturer for support. Most problems with charging a cell phone can be placed in one of two categories: hardware and software. Sometimes a charging issue is the result of both hardware and software problems. Luckily, many of these issues can be cleared up with simple troubleshooting steps. Hardware issues are often the result of the phone, charging cable, or power supply malfunctioning. It is also possible that the phone does not support certain types of charging accessories; this is common with iPhones in particular. Software issues are usually caused by bugs or changes to system preferences (like screen brightness or background app refreshing) and can be fixed by updating system software or double-checking preference settings to make sure you are getting the most out of your device. If you purchased an extended warranty from the phone manufacturer or pay for insurance through the cell phone provider, don't try to fix the cell phone charging problem yourself. Take the phone back to the manufacturer or cell phone store because anything you do to the phone may void any warranty or insurance coverage. If you are unsure of your phone's warranty status, manufacturers usually have a warranty status page on their website that allows you to check the status of your phone. You will need the serial number of your device to check the warranty status. You can usually find this in the settings app, on the back of the phone, or behind the battery cover. If the phone is outside the warranty period and there is no insurance policy covering the phone, consider some of these possible causes, along with the associated instructions for fixing cell phone charging problems. Frayed charging cable: It is unwise and even unsafe to use a charging cable that is not properly wrapped or insulated. If a cable is frayed or otherwise damaged, it should be replaced. A cable often frays because it is consistently bent in a way that crimps the wires or insulation. Be mindful of how the cable is bent to make cables last longer. Battery drains more quickly than normal: A sudden drop in battery life can be the result of software bugs, unintended changes in system preferences, or malfunctioning hardware. First, check to make sure your system software and firmware are up to date. Next, check preferences like screen brightness and background app refreshing. Turn the screen brightness down or enable auto-brightness control if the phone has it. Certain apps may be the culprit too, particularly with background data. Check individual app settings and try uninstalling any recent apps that may be draining the battery more quickly. Sometimes, resetting or restarting the phone can be very helpful too, as this can clear out the background cache and activities. Lastly, try replacing the battery. If the battery is not user-replaceable, do not open the phone. Instead, contact the manufacturer for repairs. Battery doesn't last as long: Every battery is generally rated for a certain number of charging cycles. The actual performance can vary, but it is inevitable that older batteries will not hold a charge as effectively as new batteries. One way to test this is to charge the phone fully (100%) and then turn it off. Leave the phone off for a couple of days and then turn it back on. There should have been minimal drain during that time, but if the battery status level has been significantly reduced, it probably means it doesn't hold a charge very well anymore. Replace the battery if possible. Phone does not recognize when the charging cable is connected: This can be the result of using a cheap charger or charging cable that does not meet the minimum specification requirements of the phone. Check the manufacturer's website for approved charging accessories. Buying a cable from a reputable electronics dealer is always recommended. Phone is charging slowly: If a phone is charging slowly, it usually means the power supply is not providing enough electrical current to the phone to charge it at an acceptable speed. This problem often occurs when using a power supply other than the one provided with the phone. Use the power supply that came with your phone to ensure the phone is getting enough electricity to charge properly. 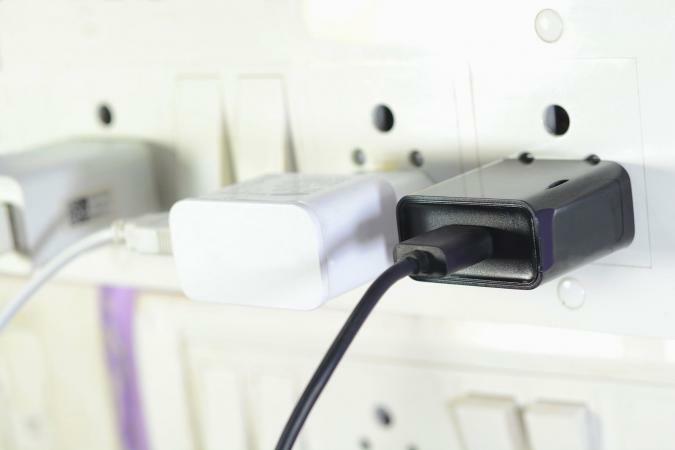 Some phones may require a 2.1A (amp) charger, but some third party accessories may only offer 1.0A of power, for example. It is important to only purchase replacement power supplies from reputable electronics dealers. The charging cable does not insert fully into the phone's charging port or the charging is not steady: This is most likely caused by poor contact with the charging connector. The connection may feel insecure and wobbly. It could also be caused by a foreign object (like pocket lint) getting stuck in the phone's charging port. A can of compressed air for cleaning electronics can get small objects out of the port. Be sure to follow all instructions provided with the compressed air can very carefully to avoid unintended damage. Phone is heating up more than normal: Phones or batteries overheating can be a combination of software and hardware issues. Make sure system software and firmware is current. If a software or firmware update does not resolve the problem, try restarting the phone or looking for any recently installed apps that may be causing the issue. Finally, try replacing the battery. If the battery is not replaceable, do not open the phone. Instead, contact the manufacturer for repairs. If the troubleshooting steps listed above do not resolve the charging issue, you can still have it repaired. Sometimes repairs require you to mail your phone off for a week or so, which means you will be without a phone until it returns. Consider getting a cheap phone with a no-contract plan in the meantime. 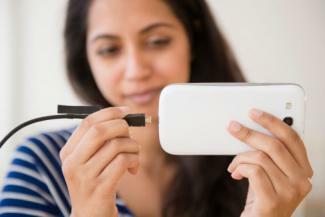 If you get your phone repaired outside of a warranty, the expenses can add up quickly. Always compare the quoted price for repairs with the cost of buying a new phone. When considering a new phone, look into buying the extended warranty or service plan offered by the cell phone company or retail store. Remember that most people carry their phone everywhere or leave it in dangerous spots like a desk or coffee table. Even if nothing goes wrong with your phone, you have peace of mind knowing you are covered.